Frank (affectionately known to most Harvesters as “PoFo” or “Mr. PoFo to the YG students) joined the Harvest staff in October 2005. He pastors our youth and also provides leadership in the areas of college-age ministry, family life, justice ministry, and prayer. Frank is married to Hannah and father to Christina, Timothy, Daniel, Chaeli and Janny. 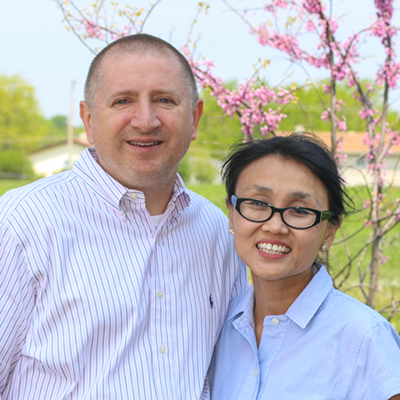 Both of their younger daughters are adopted (one from China and the other from the inner city). Frank graduated from the Moody Bible Institute (’87) and from Trinity Evangelical Divinity School with a MRE (’98). In 31 years of ministry, he has been involved with youth in some capacity, often speaking at retreats, Sunday school, training seminars and worship services.